Driving to watch college football this evening, the sun hitting Rumbling Bald Mountain over Lake Lure was quite unusual. The last of the season’s colors were still evident. That’s Yacht Club Island to the right. Mount Shumont, at 3,900 feet, towers in the distance. You must click on the photo to get the full effect of this magnificent scene. 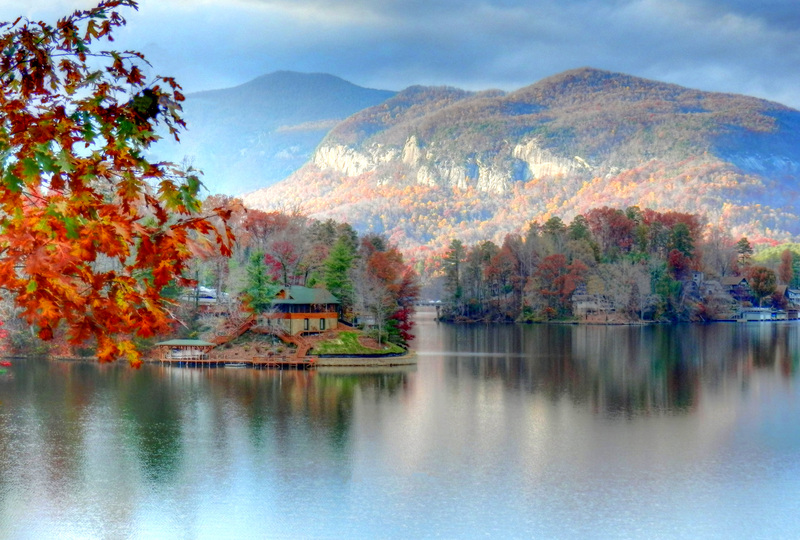 National Geographic Magazine has called Lake Lure “one of the most beautiful manmade lakes in the world!” I can’t argue with them. I work a lot of picture puzzles. Wish I could work this one while sitting on the porch of that house on the point.